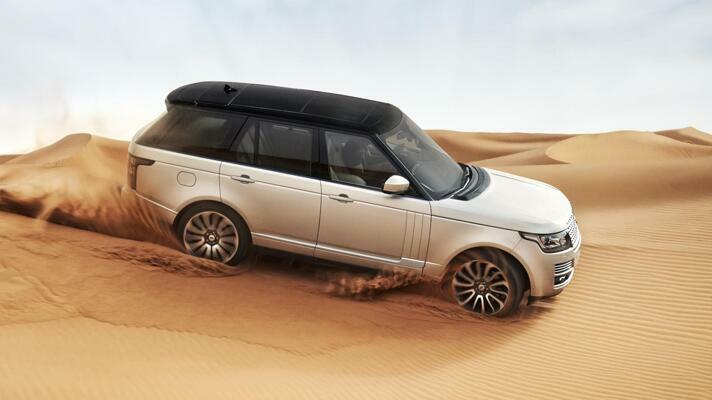 Yes, it's here: only the fourth all-new Range Rover in 42 years. And, for the first time in that 42-year history, the oft-quoted dictum of form following function has been sidelined for a philosophy that extends the car's aesthetic appeal. Your gaze will immediately be directed towards the new face, itself a continuation of the increasingly blinged-up front of the most recent third-gen RRs, together with new side gills on the doors, a black roof paint option and - generally - a more rounded, aerodynamic appearance. This fourth generation of Land Rover's luxury off-road stalwart uses an all-aluminium body that's 420kg lighter than its predecessor (and in fact, the Range Rover Evoque's), sitting on a wheelbase that's been stretched by 40mm. It's also a touch lower and wider in the body than its predecessor. The new V6 diesel can boast the same performance as the outgoing V8 diesel, because of course, the car - along with that new engine - is lighter. There's also a supercharged petrol V8 on offer too. The outgoing Range Rover's interior design has been largely kept intact, except the new one gets a neater finish with more control handed over to a large central touchscreen. And, naturally, you'll be able to customise the trim to your heart's content. You can opt for a four-seat layout if you so wish, and the extra length over its predecessor means better legroom too.